Before implementing this policy, the Ontario Securities Commission (OSC) asked for submissions from the industry. These can be viewed here: http://www.osc.gov.on.ca/documents/en/Securities-Category8/csa_20131212_81-324_rfc-mutual-fund-risk.pdf. Securities-Category8-Comments/com_20140312_81-324_bullion-management.pdf), and out of those, three warned about the deficiency that Standard Deviation does not differentiate between upside and downside volatility. It measures individual portfolio components rather than the overall Standard Deviation of the entire portfolio. This policy will not protect investors from experiencing losses, but may prevent investors from structuring portfolios for reduced volatility, optimal performance and effective diversification. The resulting reduction in investment demand in sector funds will result in a negative impact for many Canadian public companies. The overall weakness of this approach is best exemplified by the fact that Bernie Madoff’s fund had the lowest Standard Deviation in the industry for over 30 years – yet investors lost most of their money. 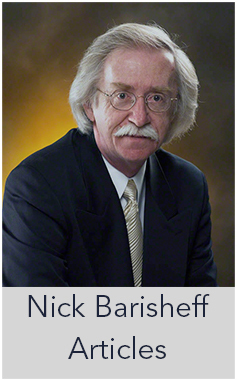 David Ranson of H.C. Wainwright & Co. published a report entitled “Why Standard Deviation Won’t Serve to Classify the Risk of a Portfolio.” This report details why Standard Deviation is a poor and overly simplistic approach to measuring the risk of a portfolio. As an example of how flawed this policy is, Morningstar Canada lists 9,412* equity classes of mutual funds. Of these, 1,932* have 10-year performance histories. 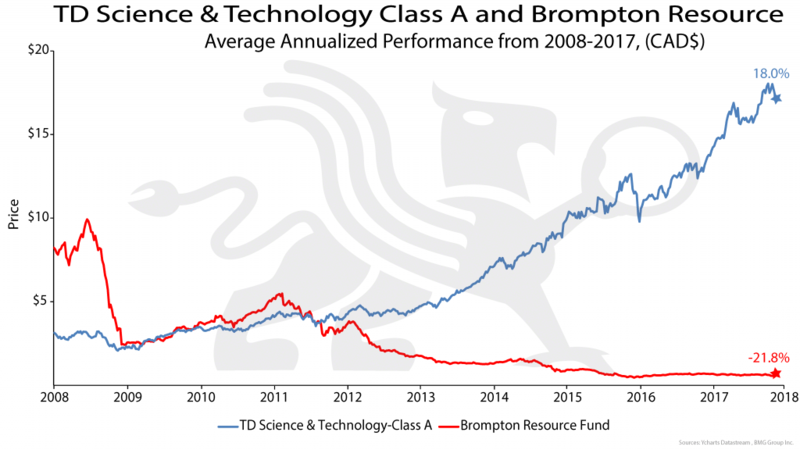 The best-performing fund is the TD Science and Technology Fund, which achieved an 18.00% 10-year annualized return net of MER. A $10,000 investment in 2007 would now be worth $66,554*. On the other side of the performance scale is the Brompton Resource Fund. It ranks as 1,932* (last) in performance and has experienced a -21.8% annual decline over the same 10-year period. A $10,000 investment ten years ago would now be worth only $643*. 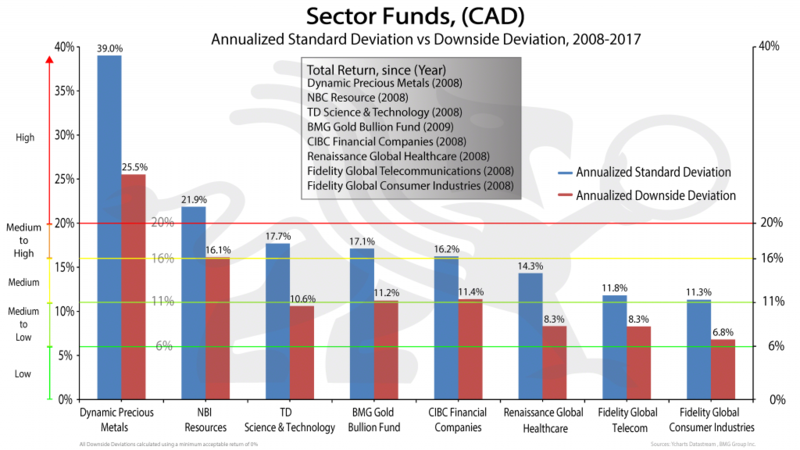 The 10-year (2008-2017) Standard Deviation for the TD Science and Technology Fund is 17.7% (MEDIUM to HIGH RISK) and for the Brompton Resources Fund it is 29.57% (HIGH RISK). 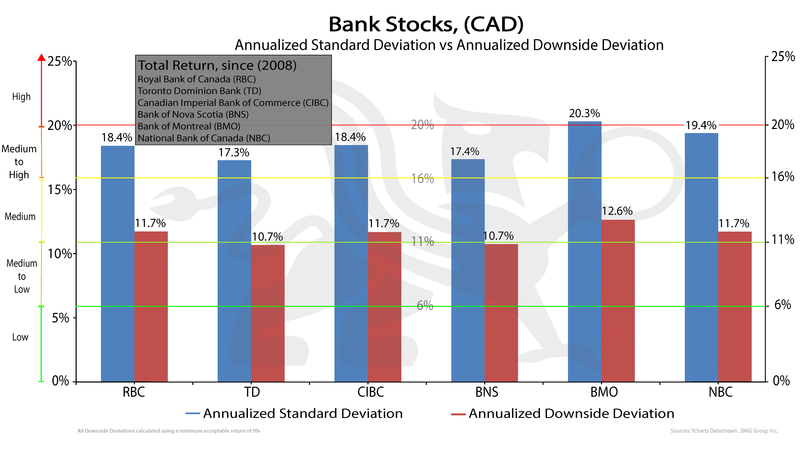 However, the Downside Deviation is 10.6% (LOW to MEDIUM RISK) for the TD Fund and 25.7% (HIGH RISK) for Brompton Fund. It should be obvious, even to the unsophisticated investor, that the risk of these funds that are at opposite ends of the performance spectrum is not similar. This flawed methodology is more pronounced when it comes to physical bullion funds such as the BMG Funds. According to this methodology, the Standard Deviation for gold results in a MEDIUM to HIGH risk rating. Silver and platinum would be rated HIGH RISK. This new risk rating methodology is in direct contradiction to the suggested risk rating for gold established by the Basel Committee on Banking Supervision (BCBS). BCBS brings together regulators from 28 countries, and establishes rules governing the appropriate level of capital for banks. The current version of these rules, known as Basel III, is a key element of the international regulatory reform agenda put in motion following the global financial crisis of 2008. During the 2008 financial crisis, gold was used in international settlements as a zero-risk asset after many decades of being sidelined in the monetary system. Gold’s old emergency usefulness resurfaced, albeit behind closed doors, at the Bank of International Settlements (BIS) in Basel, Switzerland. 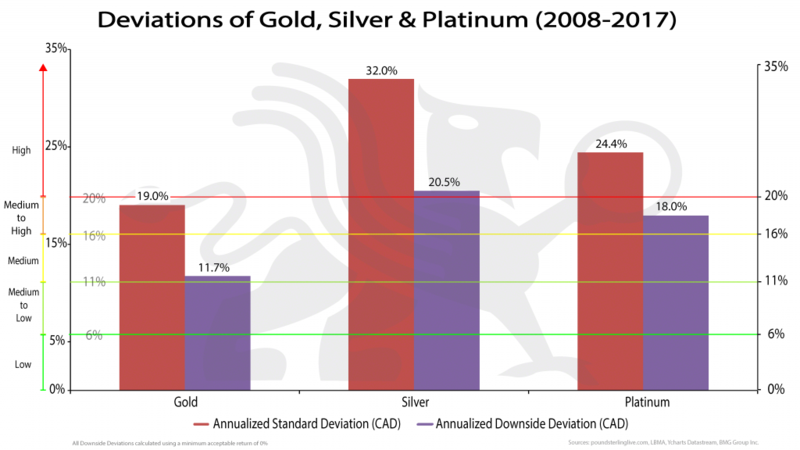 The BCBS stipulated that “at national discretion, gold bullion held in own vaults or on an allocated basis to the extent backed by bullion liabilities can be treated as cash and therefore risk-weighted at 0%.” Canadian banks currently recognize monetary gold held in the institution’s own vaults or in trust at a 0% risk weight for risk-based capital assets as specified in Chapter 3 of Ontario of the Superintendent of Financial Institutions’ (OSFI) Capital Requirements Guideline. This is consistent with the treatment outlined in the Basel III reforms issued on December 7, 2017. 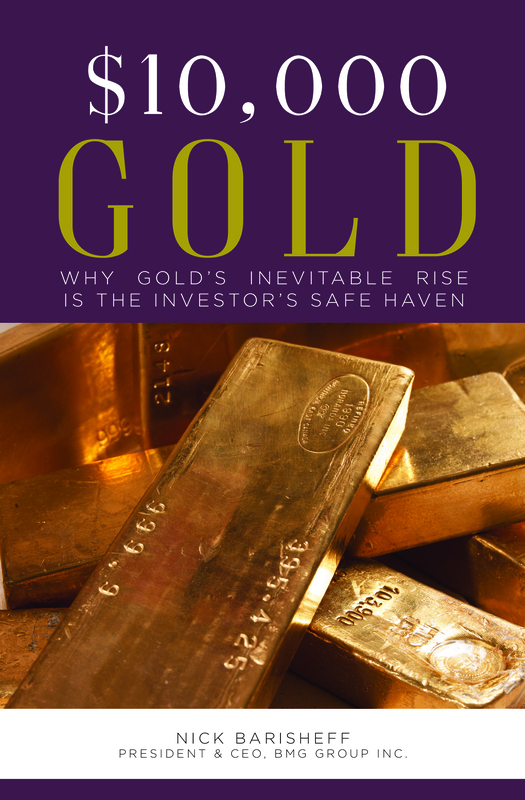 The status of gold as a risk-free asset equal to US Treasuries or cash in Basel III will certainly have a positive effect on the price of gold. 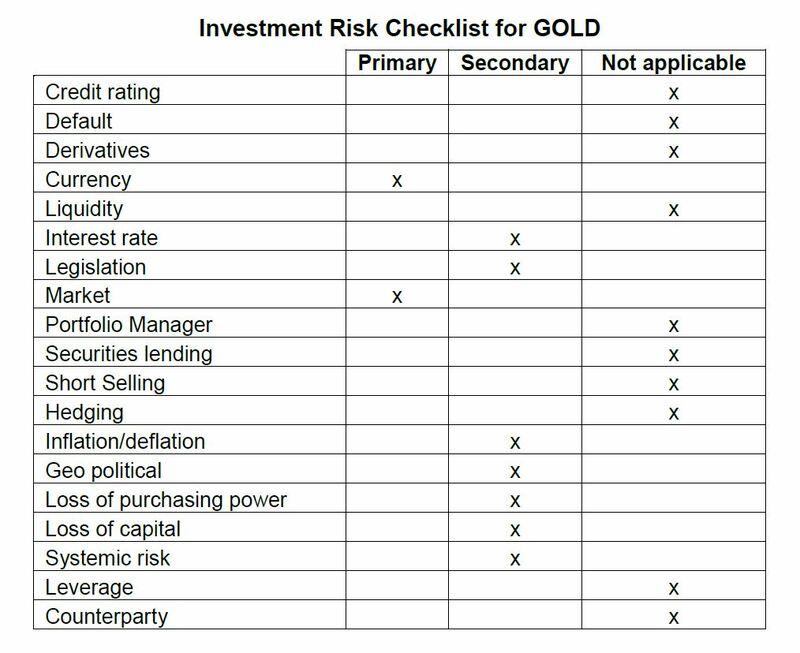 It will be interesting to observe how the Canadian regulators reconcile the paradox of forcing gold to be rated as a HIGH RISK asset for retail mutual funds investors using Standard Deviation, while central banks and commercial banks are allowed to rate gold as a RISK-FREE asset under Basel III. For most investors the concept of risk is based on their perception of losing money. The table below identifies 19 risk categories. In the case of gold bullion, only two risk categories are applicable – Market Risk and Currency Risk. Traditional mutual funds and most portfolios are subject to all of the risk factors. In most cases, these risks cannot be eliminated but can be mitigated by holding a properly diversified portfolio that includes low correlation asset classes that would include stocks, bonds, real estate, commodities and precious metals. However, most of these assets that would benefit a traditional portfolio of 60/40 stocks and bonds are also the ones that would be classified as HIGH RISK. 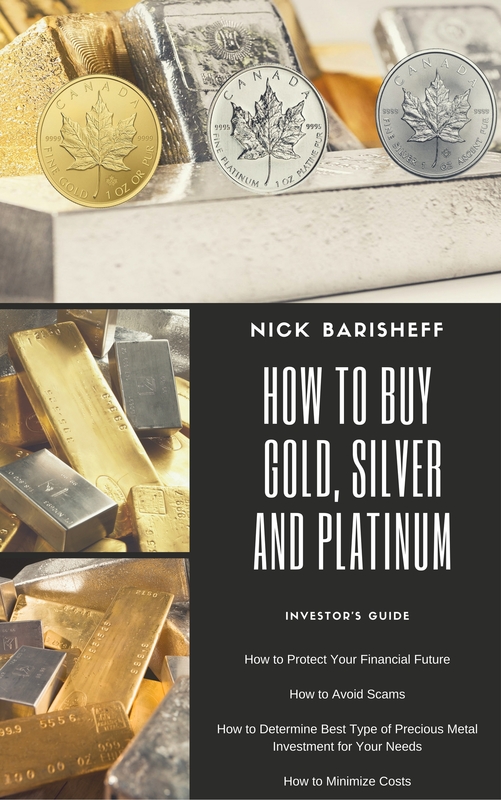 While most investors consider banking stocks as “safe” investments, using Standard Deviation places them in the MEDIUM to HIGH RISK category – higher than gold bullion. However, if you differentiated the upside vs the downside volatility, you would draw a different conclusion. The downside standard deviation is typically less than 13, which would put bank stocks in the MEDIUM RISK category. Applying this methodology will eliminate many important investments for investors’ portfolios, as the Know Your Client (KYCs) that they have previously established with their advisors may prevent these investments from being included in their portfolios for compliance reasons. Most sector funds will be rated HIGH RISK, as can be seen on the next page. 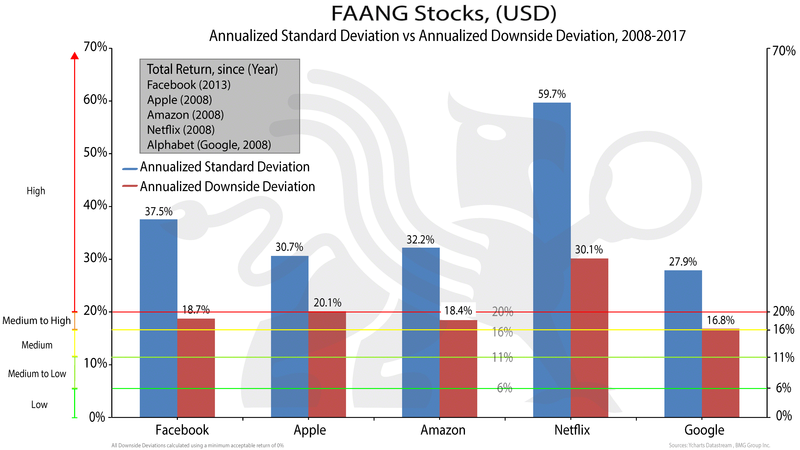 However, if only Downside Deviation is considered, a different picture emerges, as most would be rated MEDIUM RISK. If you analyse the entire TSX 60, 34 stocks would fall into the HIGH RISK category and the remaining 22 would still be classified as MEDIUM to HIGH RISK (7 undefined time ranges). When Downside Deviation is used instead, only 17 would be rated as HIGH RISK, 8 falling into MEDIUM to HIGH RISK, with 18 falling into the LOW to MEDIUM RISK with 10 falling into the LOW to MEDIUM and LOW RISK categories. Individual “Low Risk” funds will give investors a false sense of security while reducing portfolio performance. While it sounds counterintuitive, adding a high risk, low correlation investment to a traditional portfolio of stocks and bonds will tend to both improve the performance of the portfolio and reduce the overall volatility. 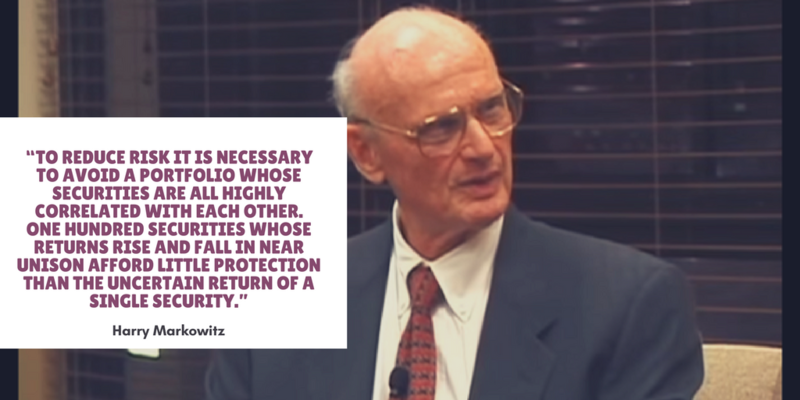 Harry Markowitz is an American economist and the 1990 Nobel Memorial Prize winner in Economic Sciences for his pioneering work in Modern Portfolio Theory. Based on his thesis, it is not the characteristics of the individual investment components that matter, but the overall effect on the investment portfolio. This has been the main practice of Modern Portfolio Theory ever since. However, based on the new Risk Rating Methodology, if the investor’s risk tolerance in their KYC does not match the risk rating of the individual mutual fund they want to include in their portfolio, they may not be able to hold it, as it will not meet the Mutual Fund Dealers Association’s (MFDA) Guidelines or the compliance criteria of their advisor’s dealer. This methodology will not only negatively impact many Canadian stocks, such as commodities, energy, precious metals and finance, but may negatively impact the Canadian economy at large. It will also negatively impact the investment portfolios of Canadian investors at a time when meeting financial goals for retirement has already become an enormous challenge. Many mutual fund advisors may lose clients as investors shift to the lower fee Class D units with discount brokers in order to avoid this restriction and manage their portfolio as they see fit. From our earlier chart, it was demonstrated that gold has a Standard Deviation of 19%, placing it in the MEDIUM to HIGH RISK category. 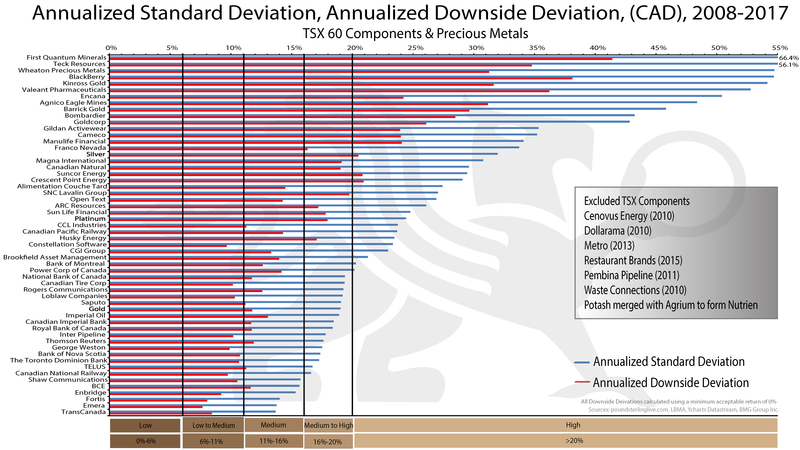 When a 20% allocation of gold is made to a sample 60/40 portfolio (resulting in Gold 20%, Stocks 40%, Bonds 40%) of stocks and bonds for the time period measured from 2008 to 2017, the Standard Deviation is reduced from 9.88% to 6.55%, and the performance is improved from 5.80% to 5.85%. 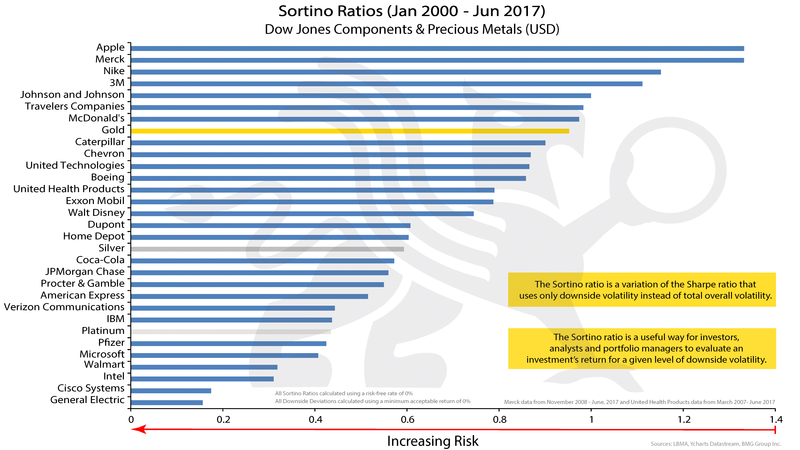 Most importantly, gold provides the most needed benefits during market declines by reducing total losses in the portfolio. In 2008, the losses without gold would have been -14.75% in the sample 60/40 portfolio, and only -2.45% in the same portfolio with a 20% allocation to gold. Gold then places 8th from the top for all of the Dow Components. It is important for both investors and advisors to understand what the real risks of their portfolios are, and not to be misled by confusing a high Standard Deviation as risk without separating downside deviation from overall deviation. By simply looking at high standard deviation, investors can easily confuse risk with return. If gold rises in the coming years, as many experts predict, the standard deviation will rise, and many investors will be misled into thinking gold is high risk and avoid it instead of adding it to protect their portfolios from stock market and currency declines. It may also force investors to be misled into redeeming their physical bullion funds to satisfy the concentration guidelines set out by the MFDA and the dealer. Investors will be forced into selling investments that are actually protecting their portfolios and increasing their wealth.